May is Whisky Month and Iain has been celebrating all of the unique chocolate pairings he has created with various Master Distillers of Scotch Whisky, Gin & luxury Champagne Houses. Interestingly, none of Iain’s Velvet Truffles contain any alcohol. 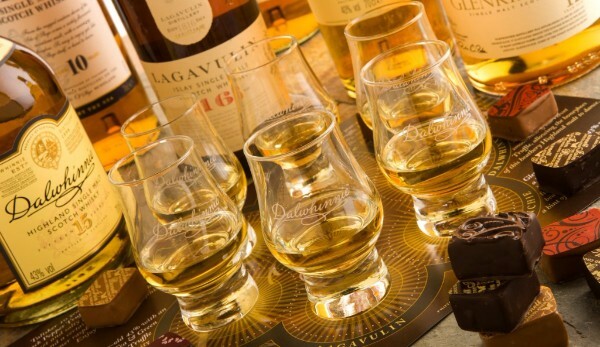 However their unique flavours and textures compliment, contrast and enhance some of Scotland’s finest Single Malt Whiskies. A range of dedicated Whisky Pairing Boxes can be found on our website. New this month is The Glengoyne selection! As a special introductory offer, everyone who orders a box of ‘The Glengoyne Selection’ will be emailed an exclusive code to receive 10% off any purchase of whisky at Glengoyne.com. – Ewan Mackintosh, Distillery Manager, Dalwhinnie. However, it’s not just any chocolate that allows this unlikely combination to transform itself into a heavenly marriage. The creamy, smooth texture to Iain’s Velvet Truffles allows the whisky to glide down your palate, while the sweet, caramel & vanilla notes of the São Tomé cocoa bring out the delicate flavours in Dalwhinnie’s 15 Year Old Malt, known to conoisseurs as ‘The Gentle Spirit’. See for yourself how Iain pairs his award winning Velvet Truffles with one of Glengoyne’s favourite whiskies! 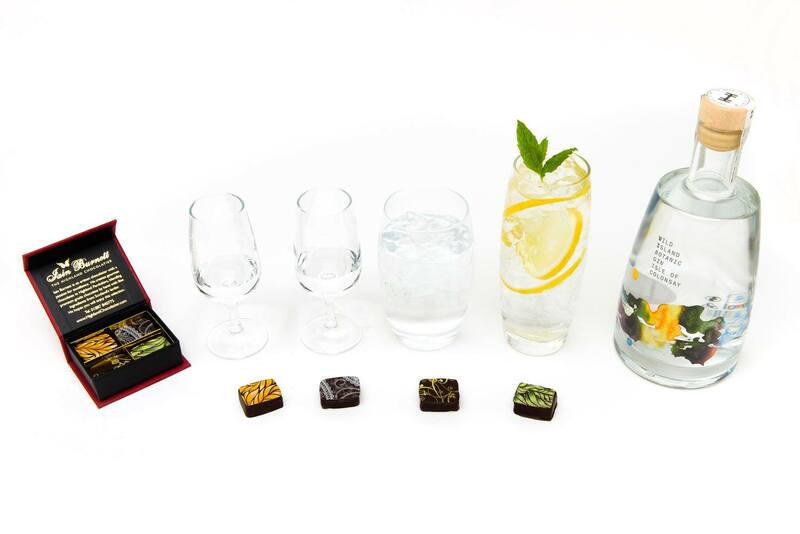 Whilst naturally concentrating on Whisky & Chocolate in May, next month brings the arrival of World Gin Day on the 10th June and with it will come an exciting new selection box to add to Iain’s collection. Look out for exciting Gin & Truffle pairings throughout June!